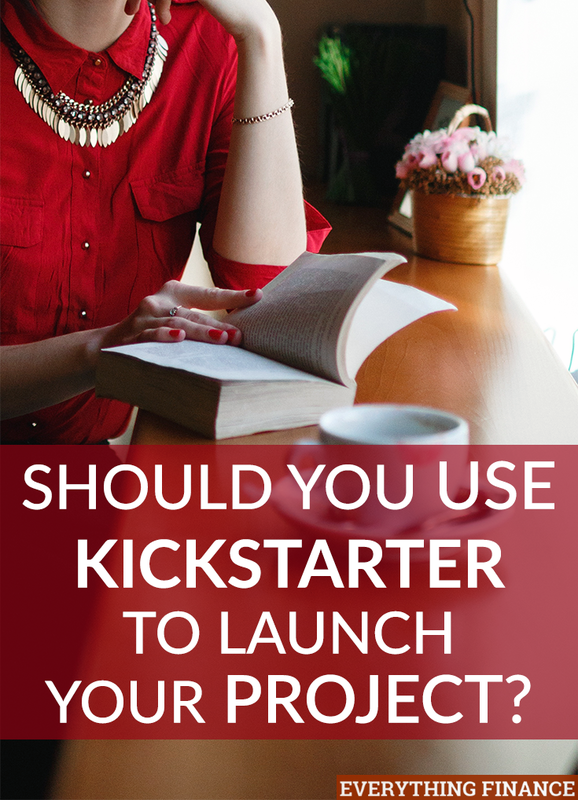 Should You Use Kickstarter to Launch Your Project? Have you ever had a dream or project you wanted to pursue, but you weren’t sure if enough interest was there? Or maybe you don’t have the right funding to pursue your project, even though you know there’s demand. I believe there’s a unique dream inside of us all, but it can be hard to fully figure out the financial side of it. For example, my lifelong dream has always been to create a children’s book. I don’t desire to be rich or famous, but I would love to hold my creation in my hand and read my book to my girls. I wrote and polished my book, and used my savings to hire an illustrator, but now what? I desperately want to publish my book in hardcover, but the $3,500 investment to get there is a scary one. The last thing I want is a garage full of books and debt. Kickstarter has been the middleman between wannabe entrepreneurs and the buying community for the past few years. It’s amazing how successful the site is, and how successful it has made others. My husband even carries his two Kickstarter investments with him everywhere – the HuMn Wallet and the Pebble Watch. If you have that dream or passion project floating in your head, now is the time to finally get started on it. It recommend starting a Kickstarter when your dream is more concrete. A prototype would be great (and is required if you want to fund a complex gadget, according to the rules), but the biggest thing to have is a solid project. You don’t want to ask people to fund a board game about zombies, only to be discouraged a few weeks later that princesses are really your thing. It’s okay to make minor changes, but your project should have a crystal clear foundation and vision. You wouldn’t start building a house without knowing the overall costs, so why would you start a Kickstarter the same way? Do your research to find out how much money you’re going to need for your project. The goal is to get your expenses covered so you can launch your product. This doesn’t include paying yourself; you’ll usually get paid down the road when sales aren’t tied to Kickstarter. I had already paid an illustrator for my book. I started the Kickstarter to establish a pre-order base for hardback copies of the book. My funding goal is the printing cost, taxes, shipping cost, and audiobook cost (for the reward). If I had estimated how much the project would cost, I would have probably underestimated the costs by $1,000. Thankfully, I did my research and locked in my price first. There are several successful Kickstarters who have raised several hundred thousand dollars. Most of them have established a good platform before launching their Kickstarter campaign. One successful Kickstarter said to raise 50% of your funding before you launch your Kickstarter. This is something I didn’t do, and I wish I would have. My problem is that I have dozens of people wanting to buy the book, but they are unfamiliar with Kickstarter. I’m now working on getting the word out via guest posts and social media. In today’s digital age, there’s a lot more competition when it comes to new projects. While there’s more competition, there are also more resources available to help you achieve success. If I had a dream to publish a children’s book 100 years ago, the process would have been completely different and not as likely to happen. Interested in seeing my Kickstarter for my children’s book, How to Sell Your Sister for Fun and Profit? Just click here. Have you ever started a Kickstarter campaign or wanted to? Have you funded a Kickstarter before? Do you think the platform is useful? Kickstarter is really good as I and my friends are glad that we used it for our projects, which resulted in income. I highly recommend this platform.